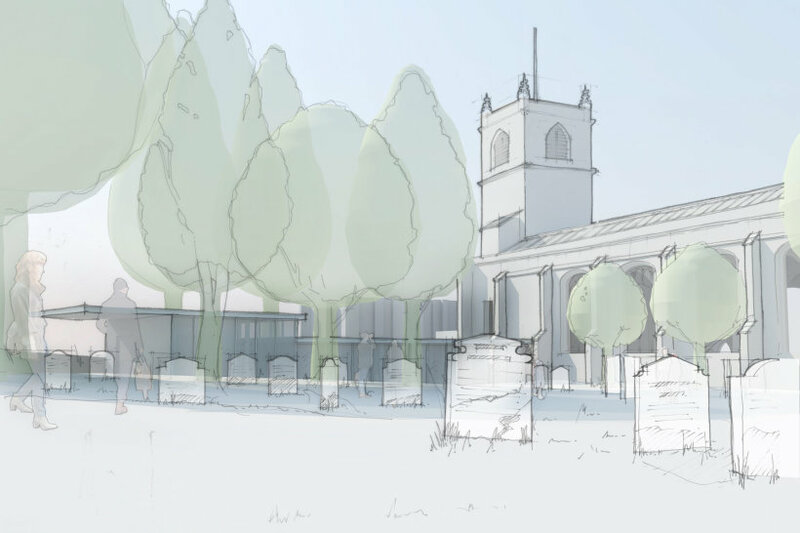 The grade I listed church established in the 12th Century within the ruins of the St Mary’s Abbey in York had a vision to commit itself to its existing and new communities by uniting the church and the Museum Gardens. Native designed an elegant new single story extension stepping away from the church with recessive glazing, hosting a cafe and choir rehearsal room. Internal alterations to provide new facilities and new disabled access were proposed with minimal loss to the historic fabric. The Parish Council invited Native Architects to submit a proposal and an exhibition was set up within the nave of the church for public viewing. The scheme was unfortunately not implemented.